“Ughh! I got to play that guy? !” Well, those players tend to natural play with a playing style that employs a tactic that you dislike. Such as high balls or slicing backhands. Having been a college player in the SEC, I certainly have been in the midst of tennis strategies! The coaches spend more time analyzing strategies and tactics than perhaps Napoleon did before invading Russia. They know it is absolutely crucial to the winning of a match. Singles Tennis Strategies – are basically your plan while on the tennis court. Your anti-opponent plan! It is a big deal, not only because you are using tactics that exploit your opponents’ weaknesses, therefore incapacitating his strengths. Furthermore, having a good tennis tactic will do more than just that. It will give you confidence, but more on that later. Tennis Doubles Strategy – In this clever game, full of dialogue and surprise, strategical planning and communication are of the essence. Different tactics are discussed such as “I formation” which is where one player crouches down to the ground and springs up to a certain side after the serve, I will also suggest how to make it most effective. As well as the “I formation” doubles tactics such as “Australian formation” are mentioned and other useful tips such as… where to serve when playing doubles? What’s Tennis Strategy, Why Is It Such A Big Deal? Being a man with a plan, (such as Rafael Nadal tennis plan when he plays Federer) gives you confidence in times of pressure! It removes doubts, that otherwise start to sneak in. Furthermore, there are many different types of tennis courts and as a player learning to adjust your playing style and tactics to the specific court your playing on is key! That leads me onto a whole new section that I find critical when playing tennis… Strategies for different tennis surfaces! Read more below. Clay Tennis Court Strategies – How to win on a clay court. 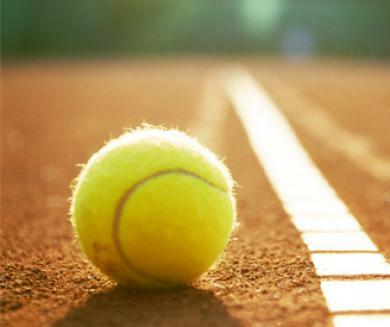 When playing on a clay tennis court, tennis becomes completely different, the balls come at different speeds, the bounces are different, it is slippery and players end up sliding. So it is vital for players to know their tennis strategy and “play their cards” differently. On top of this, It loads that pressure on to your opponent because you will make them play their most shaky shot. Your opponent knows it’s coming. He or she will miss it eventually, and… He or she will be angry, frustrated, and nervous because they knows the shot is coming their way again! A great example of tennis tactics is in “Winning Ugly” by Brad Gilbert! I suggest you take a look, if you haven’t already 🙂 It’s great. The tennis serve is the only shot where you have the ball in your hand, and all the options in the world are available to you. It is a chance to start your opponent off in the worst possible position! So, it can be highly destructive to the opponent if we can make good use of your tennis serve! Here we will look at how to serve in tennis. There will be suggestions and guidance on how to make your serve in tennis MORE effective with LESS effort. For the tennis serve to be deadly it needs to have, different spins, disguise, consistency, and lastly it needs to be fast fast and fast! The last point covered so much detail, that i decided it warranted its own page on tennis how to serve fast 🙂 If you improve these four points, of EQUAL importance, then you are well on your way to how to serve in tennis. So, lets get straight to it!! Your opponent is getting every tennis serve back? Maybe he or she has a weak forehand or backhand? Spin can work wonders for situations like these. There are 2 main types of spin. To serve a good slice serve people find it easier to toss the ball further to the right. This however, causes a conflict with our disguise on the tennis serve. People will easily read your slice serve and be waiting for it with a smile. Instead, the toss should be in exactly the same spot as your other first serve in tennis, (Half a foot in front of you and half a foot to the right of you). If you imagine a clock face then you should toss the ball in line with one o’clock. Next, sneakily adjust your grip. Twist it a fraction clockwise, from your usual chopper grip for the serve. This will help add more spin. When you strike the ball, aim to brush the right side of the ball. The kick serve is a shot that many players find hard to achieve. Nevertheless, it is even more of a mission to return well. Firstly, your toss will need to be slightly behind your head for the kick serve. If you imagine a clock-face, 11 p.m. is where you will want to make contact with the ball! Why the toss there? Well, it enables us to do the second step! Secondly, because the toss is slightly behind you, your back will be bent backwards putting stress on your core abdominal muscles, (this is why core abdominal muscles are so important for tennis players). From this position, you will brush up the back of the ball (your racquet will be close to horizontal to the ground at contact point) and continue to extend your arm up into the sky while using your abdominal muscles to snap you back to your original linear position. Note: The arm extension is achieved by straightening out your arm from the elbow joint. It is a similar action to waving at some one in the far distance. 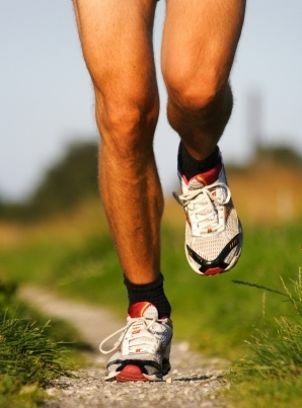 Thirdly and lastly, Your legs will play a Vital role. They need to be bent, then extended upwards to meet the ball at contact point. This is the difficult thing about hitting a good kick serve! It is all about synchronizing your legs exploding upwards with your abdominal muscles snapping forwards and your arm brushing up behind the ball! It takes a lot of practice! One of the best drills you can do for your kick serve is to layout a towel on the floor, and get on your knees. Toss the ball behind you, and practice hitting kick serves like that. When you get back on your feet it will feel easier to generate kick. Practice makes perfect with the kick serve, develop the kick of a donkey behind your serve and you will not be disappointed with its potential! The tennis Serve in Disguise! You only have about 1 second to return a serve in tennis. A player’s inner self subconsciously gets used to trends and patterns in the servers’ routine. That way he or she can anticipate where the ball is going to land. If you can gain a unreadable tennis serve the opponent can no longer anticipate it! John Mcenroe, Pete Sampras, Roger Federer are all famous tennis players serve in tennis that have mastered this how to serve in tennis art of disguise! Firstly, as mentioned before, a closed stance is probably the most important factor in gaining disguise on the serve in tennis! Look at the photo of Roger Federer or Marat Safin for a closed stance. Please note that some of these are VERY closed stances… You will most likely find it very difficult to close your stance that much. Secondly, try holding shoulder position with your back almost facing the opponent. Then uncoil and rotate into your shot! A simple drill, but highly effective in making your tennis serve as clear as mud to read! To toss the ball effectively hold the ball between your first four fingers. DO NOT hold or grab the ball. Then bring your arm up guiding the ball and release it when your arm is extended. Ideally, the ball should not be spinning while in the air. 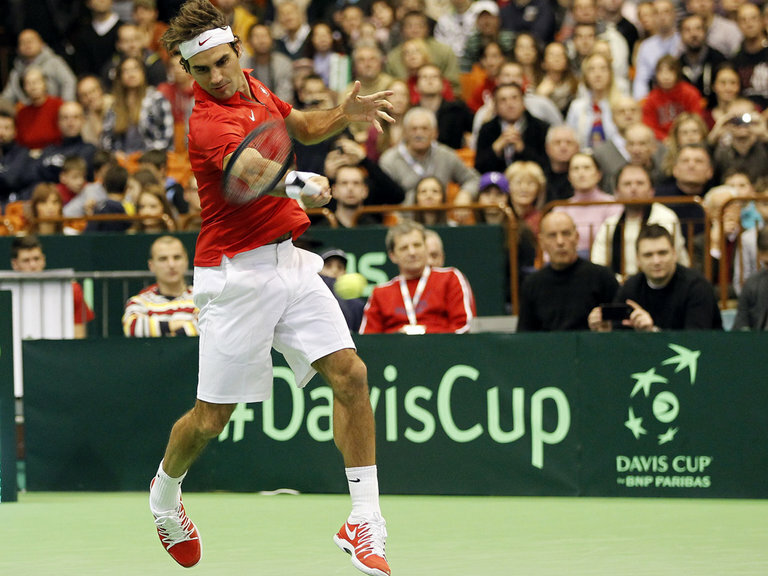 Who will emerge triumphant in the Davis Cup final? As we come to the end of the ATP World Tour, just one final match remains before we are thrust into the high intensity thrills of the Australian Open in January. The Davis Cup final has been a hugely exciting ride ever since it first began in December, seeing world famous stars such as Rafael Nadal representing their countries in men’s singles and doubles matches. After eliminating most of the competition however, it now comes down to just two champions – France and Switzerland. This will be a particularly exciting match for the Swiss side, who have not made it through to a Davis Cup final in 22 years. France, meanwhile, last made the final just four years ago, but ultimately lost out to Serbia. They made it through to this year’s final back in September when they beat the Czech Republic in the doubles rubber, thanks to the racketing talents of Richard Gasquet and Jo-Wilfried Tsonga. The Swiss team, meanwhile, do not have history on their side when it comes to being paired with France – having met 12 times previously, they have only won twice, but 2014 could be the year in which this is all about to change. Boasting both Roger Federer and Stan Wawrinka, the Swiss team have every reason for success this year. At World Number 4 and Swiss Number 2, Wawrinka will surely be a force to be reckoned with. Meanwhile, Roger Federer may not have age on his side but he certainly has experience, and to this day continues to be considered on the worldwide tennis circuit as one of the ‘big four’ – Andy Murray, Rafael Nadal, Roger Federer and Novak Djokovic. Moreover, not only is Federer World Number 2, but he has also proven his on-court chemistry with Stan Wawrinka. The pair are tipped to play both in the men’s singles and the doubles rubbers at the events on 21st November. Without a doubt, Swiss tennis fans will be hoping that the pair can repeat their 2008 Olympic performance, in which they took home the gold medal in the men’s double event. However, despite Switzerland being the favourite to take the victory, France have reason to be confident for the upcoming event. With the talents of World Number 12 Jo-Wilfried Tsonga, not to mention years of successful history on their side, this could make for a very exciting Davis Cup final indeed. Tennis betting is a completely different animal from other types of sports bets. You need to be aware of that before you place your bets. Looking at different markets as far as outcomes is a good thing. Do you want to get out of just betting on favorites? Then this guide is for you. Smart bankroll management is a good thing. Try to avoid getting sucked into what the television commentators have to say about anything. Even popular sports sites like ESPN often get it wrong a swell. If you’re going to get deep into betting on sports you need to make sure that you’re looking at independent data, not just the sentiments of the crowd. That’s steered plenty of people off the cliff over the years. Tennis takes into account a lot more than just the players. It’s an outdoor sport, so you’re still at the mercy of weather. Field conditions will also play a role, as few players are at their best on every single type of court. You should look at the surface of the court. Some players really excel on hard court, while others falter big time. Other players are big on grass, but weak on clay courts. Looking at the situation makes a difference as well. You can’t just assume the favorite to win it will be at their best on a non-major event. Injuries play into the situation as well. We can’t bet the farm on someone that’s recovering from an awful elbow injury, or a knee that just keeps giving them problems. The only exception to this is if you have tracked a player’s movements while they’ve been recovering from an injury. If they seem to keep giving you great performance in spite of the injury, then chances are good that they are a safe bet. Players coming in and out of retirement or short hiatuses are quite common in the tennis world. Tennis is a sport that takes a lot out of you, so it’s obvious that some people want to step back for a while. Look at players that have been training hard before a big match. That will tell you if they are truly committed to playing, or if they’re just trying to satisfy an endorsement contract that says they still have to play some games. The more data that you have to sift through, the better decisions that you’ll make. Don’t look at just the big names of tennis. Take time to sift through a database of newer players. They’re younger, hungrier, and ready to take it all. Betting on them may reveal pockets of money that you didn’t expect. Check it out for yourself! Rafael Nadal, Novak Djokovic, Roger Federer and Andy Murray cannot dominate the sport forever, and we are already starting to see tennis’ titanic quartet submerge, as a new crop of talent bid to take over their reign. 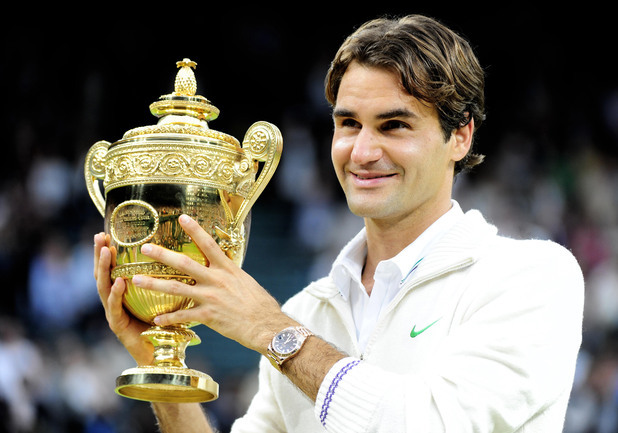 Arguably the greatest player the game has seen, Federer is now 33 and, although he continues lift trophies here and there, it is highly probable his record-breaking Grand Slam haul of 17 will forever stand still. Spaniard Nadal, meanwhile, has once again had to take time off from the tour – this time due to appendicitis – meaning he misses the season-ending ATP World Tour Finals. He should be back for the Australian Open in January, though, and is a 7/2 chance with Coral bookmakers to claim his 15th Grand Slam, as he is so determined to break Federer’s record. Murray and Djokovic’s achievements in tennis’ four biggest tournaments have declined this season too, with the former not reaching a final for the first time since 2009, and the latter falling shorter than expected at the Australian and US Opens. Prior to this year, just one man, Juan Martin Del Potro, was able to break the Grand Slam dominance of the ‘big four’ in the previous 35 tournaments, but 2014 saw Stan Wawrinka and Marin Cilic claim maiden titles. While Wawrinka, aged 29, is soon to pass his peak, 26-year-old Croatian Cilic has the potential to cause a few more upsets, after defeating another up-and-coming star Kei Nishikori, 24, in the recent US Open final. The trio can be backed at 12/1, 14/1 and 20/1 respectively to win on the hard surface at the Australian Open in early 2015. Other names who could potentially push the ‘big four’ all the way next year, include Murray’s US Open conqueror Grigor Dmitrov and Wimbledon semi-finalist Milos Raonic, who are both 23. Both players have highly impressed in tournaments leading up to the upcoming Tour Finals at London’s O2 Arena, and can certainly push on and take confidence in Cilic and Nishikori’s exploits. The era of the sport’s top four most-talented players is, of course, not over, with Djokovic, Murray (both 27) and Nadal (28) still supposedly in their prime. But a new wave of talent is emerging, and they can continue to usurp their falling giants. 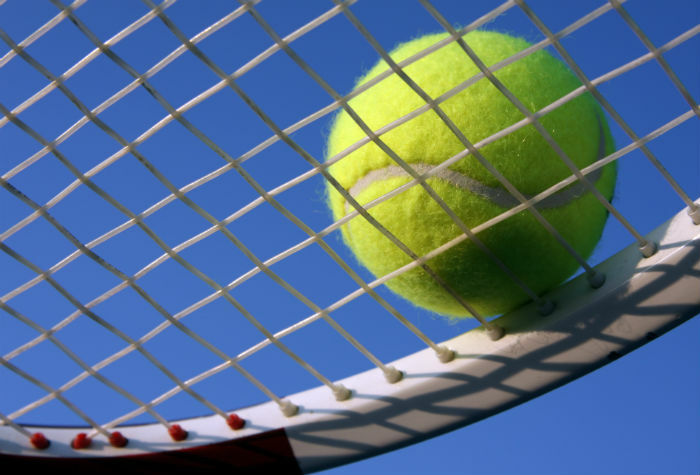 Too Late For Tennis Betting – No Way! Tennis is already here, and this fact makes some folks panic when they really don’t need to at all. You see, there’s still plenty of time to make tennis betting profitable. You just need to make sure that you are definitely giving yourself plenty of time to drill down appropriately. What do we mean by this? Well, a few things. One, you need to decide the type of bets that you want to place, and where you want to place them. If you’re going to go bonus hunting, now is the time to do that. Of course, if you already have a sportsbook online that meets your needs, and then you’re good to go. For those that are in the market looking, there are a few things that you need to be aware of with a sportsbook as well as tennis betting. In tennis, people get injured, and this takes them out of the game. Well, what happens when you’ve laid down hard earned cash for a player to win it big? You could end up losing your bet money, doubly so if you’ve done an accumulator that depends on that player multiple times in different configurations. You need to make sure that you’re doing bets at a place that cancels your bet if the player you’re wagering on gets injured or retires before they actually complete the match. Retirements have happened before, especially if the player suddenly becomes very prone to injury. They figure that it’s better to leave on a high note than get caught up trying to heal. Tennis takes a toll on the body, so tennis players tend to stop playing when they’ve had enough. You want to go for the match wins, even though more exotic bets are out there. 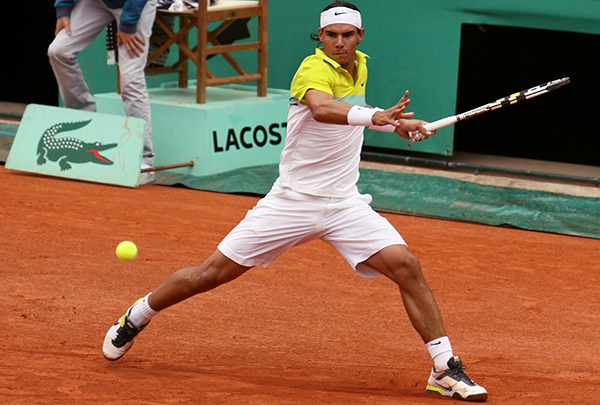 In our opinion, the exotic bets take away from proper tennis handicapping. It sounds like common sense, but you really want to get to know all of the players that you’re going to wager on. Yes, there are sites that offer tennis picks. While this isn’t a bad idea in principle, in practice it sounds ridiculous. Do you really want to trust your wins on what other people say? If they’re betting from the gut, then you’re betting form the gut. You just have to hope that their gut picks are better than yours. Going for the crowd favorite isn’t always the best ting either. The truth is that tennis players are still human. They can have bad days just like we do. What’s stopping that favored player from having an injury, or just not playing their usual best? Don’t forget to weigh all of these factors when you’re trying to figure out how you’re going to place those bets. As a gentle reminder, don’t invest too much into your tennis betting. If you have your eye on betting on more than one sport, you still want to have enough left over to use in other markets. At this point at Wimbledon it seems pretty easy to think about who might win in the men’s game. It usually comes down to the main four, Roger Federer, Rafa Nadal, Andy Murray and Novak Djokovic. 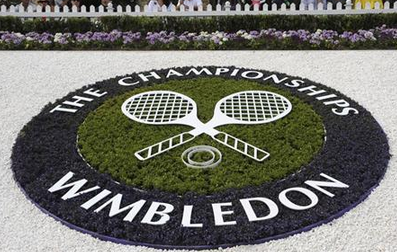 If you were thinking of having a bet on Wimbledon matches then you might choose some of the matches in this early week with these guys playing as you would be sure that they would be able to win. However, nothing is cut and dried in Wimbledon. There are years when a surprise winner comes through as well as those when the expected four men get through to the semi-finals. This can depend on the draw that they get as well as how well they are doing leading up to the competition as well as on the day that they play. Roger Federer has been written off a number of times, but he is still doing well, in the top five players and winning matches as well as beating the other top men. Despite having twins, and being the oldest of the four men mentioned, he is still a serious contender. With his new coach Stefan Edberg, who will certainly have a lot to add, having won Wimbledon twice himself, he could be an even more difficult player to beat this year. The French Open excitement is already building with qualifying matches underway for those who are not lucky enough to automatically get through to the finals. The competition starts on the 25th May and runs through to June 8th and so there is not long to wait. The draws have also been announced, making some people already start to speculate about who might win the championships this year. There is no surprise that Rafael Nadal is the number one seed this year and if you check your favourite tennis odds then he is likely to be bookies favourite as well. His first few rounds of matches do not look to challenging either, although Tommy Haas and David Ferrer could challenge him later on. His biggest competition could be Andy Murray in the quarter finals, assuming that they both get that far of course. He could then meet Roger Federer in the semi-finals, but he has quite a tough draw with a lot of well-known players in his quarter. They may not be so good at the moment, but could prove themselves under the pressure of the big tournament. The number two seed Novak Djokovic, also has a pretty tough draw with a lot of good players in his quarter as well, as he will need to beat 25th seed Marin Cilic and then Jo-Wilfred Tsonga who is the thirteenth seed and then a semi-final against Roger Federer to get through to the final. Of course most people would like to see him playing Nadal in the final, but there are a lot of matches between now and then and it is pretty hard to know who will get through at the moment. Recent form could also help spur on Djokovic who won the Rome Masters recently which put worries about a wrist injury behind him. He beat Nadal in three sets in that final and was his fourth successive win over him so that has to give him confidence. It could also be a grudge match after last years final when he was leading Nadalin the fifth set but was still not able to lift the trophy. 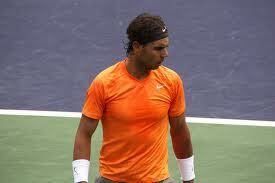 Nadal on the other hand has lost three matches in this season, breaking a ten year record of successive wins. It will also be interesting to see how well Andy Murray fairs having not shown his sparkling form from last years Wimbledon win since having back surgery. Federer is of course always a threat too, but there has been talk of his vulnerability lately and so whether he can push through to the latter matches will be interesting. There is always the chance that someone outside of the top four could do well or even win, it has happened many times before and so it could be a very interesting fortnight of tennis. Tennis season is in full swing, and that means that you have plenty of ways to add extra cash to your bottom line. No, you don’t have to be a super whiz in order to make money from tennis betting. You do, however, need to get to a source that has great tennis odds. If you do nothing else, this is what will keep you profitable for a long time to come. Tennis betting is so popular because it doesn’t take much to move your money forward. Tennis is also a sport of great skill. When you bet on a tennis match, you know that each competitor is going to fight as hard as possible to win. That’s not something that you can always say about other sports. So if you have people telling you that tennis is a soft sport, think again. It’s actually more intense than meets the eye. But you want to get your favourite tennis odds, and you need to get them quickly. Don’t settle for tired listings on forums or off in the paper. They’re not going to give you the most current view on things. You need to do to a site that’s devoted to tennis betting. There are plenty of them online, but there are only a few that truly serve players for the long run. We’ve all seen fly by night operations that make you believe that they’re going to be around to give you great odds on matches, but they fade away. Unfortunately, when one of these bad sites fails there’s like three or four that spring up to replace it. Getting your odds from a site you trust has incredible benefits. When you have great odds, you can go with advanced tennis handicapping methods, or you can use the odds in a “raw” fashion. It’s completely up to you. Some people like to dig into tennis statistics and thoughts about how each player has played historically. But the world of sports in general is full of upsets. You can be the No 1 seed in tennis and still lose to somebody that’s ranked lower than you are. You can also see somebody that’s ranked fairly low turn into the No 1 seed for a while, only to “fall from grace” with bad matches. Court selection can change the outcome of a game as well. Like it or not, some tennis players just aren’t good on grass versus when they play on harder surfaces. This is where having a deep history of the players helps. On most quality sites with tennis odds, you will find players that you can speculate with. They may be able to get you up to speed quickly on a tennis player, which beats having to watch hours of footage to make your decision, or pour over a bunch of numbers. Why not check it out today, while it’s on your mind? Running can really take its toll on your body and so it is very important to make sure that you protect yourself by buying the best possible shoe for you. There are many things that you should consider when buying shoes and the top three things are listed below. Your gait is the way that you run. If you tend to roll your foot over to one side when you are running, then you need a shoe that gives good support around your heel. There are shoes that do this and shoes that do not. In order to find out, it is possible to have a gait analysis done in a sports shop. They will ask you to jog on a treadmill and video your feet so that they can see how you run. Then they will be able to show you which selection of shoes is most suitable for you. If you are buying online, then this could be more difficult, but it could be possible for you to ask a friend or family member to look at your feet while running and check out your gait and then contact shoe sellers and manufacturers to get a list of the shoes that will be best for you. Comfort is obviously very important when buying a running shoe. When you are trying on the shoes, make sure that you wear a pair of running socks so that you know exactly how it might feel. Take your time to walk around the shop and feel how the fit is for you. Some shoes may rub on the heels or toes or on the ankle bone so watch out for those areas when you are trying them on. Consider how tightly you will lace them as well and try to replicate this when you try them on. If you lace a shoe too tightly it can give you foot pain but if it is too loose it can slip on the heel and so you need to make sure that you can lace it correctly and still make it feel comfortable. It is important to consider what type of support the shoe will be giving to your foot. It may feel comfortable, but you also need to consider what it has built in to it to protect your body. Some shoes have special technology in them to help you. It is good to find out all about this and how it could help you before buying the shoe. You could end up paying a lot more than necessary for a pair of very technical shoes when a pair of more reasonably priced running shoes from Millet sports could do the job. Consider what your needs are before you part with your money.